Does it makes sound ? Following experimentations made by Frank Swain and Daniel Jones, yes ! Wi-Fi makes sounds. They used a prototype platform called “Phantom Terrains” in order to translate data streams that goes back and forth an iPhone to translate them into sounds and it’s quite interesting to hear ! Streams of wireless data surge from internet exchanges and cellphone relays, flowing from routers to our devices and back again. This saturation of data has become a ubiquitous part of modern life, yet it is completely invisible to us. What would it mean to develop an additional sense which makes us continuously attuned to the invisible data topographies that pervade the city streets? The project challenges the notion of assistive hearing technology as a prosthetic, re-imagining it as an enhancement that can surpass the ability of normal human hearing. 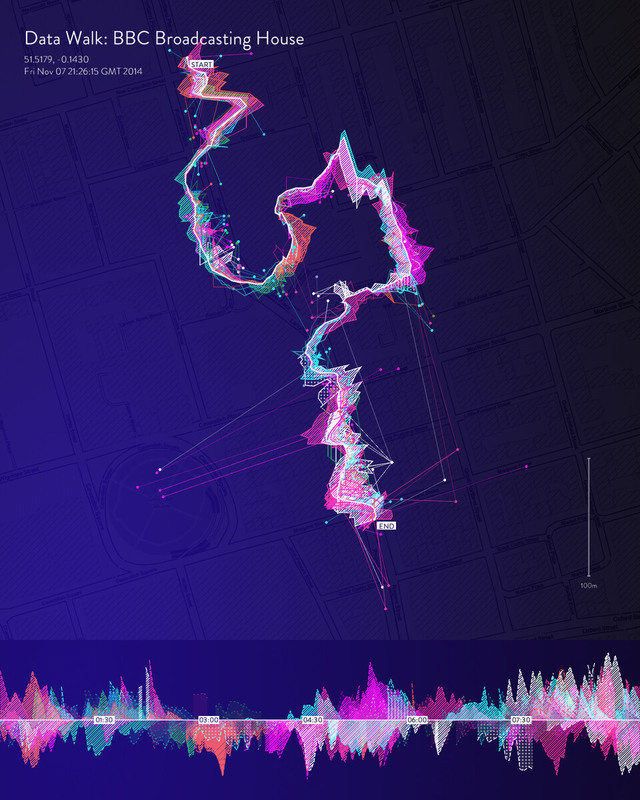 By using an audio interface to communicate data feeds rather than a visual one, Phantom Terrains explores hearing as a platform for augmented reality that can immerse us in continuous, dynamic streams of data. But it is fascinating to see and hear how much science and technology are fast unifying to deliver us things we would have never imagined a couple of years ago.